Whether both parents or working or just need to run errands for a few hours, churches are often a resource to turn to when it comes to putting children in daycare. Churches not only provide day care during normal church services, but often throughout the week as well. 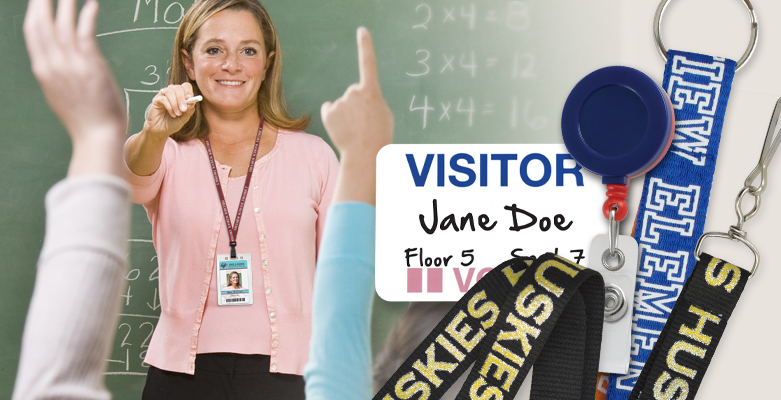 Employing a Church ID System helps ensure parents and daycare administrators that children and employees stay safe and accounted for. Organizations in Ozark, Missouri are teaming up to bring the Missouri Child Identification Program (MO CHIP) to their community. The new program aims to speed up the recovery process through multiple forms of identification in the unfortunate event that a child goes missing. Young County, Texas has launched a new child ID program, aptly called Kid ID. The county developed the program with the local sheriff’s office as a way to make it easier to find missing children. Taking inspiration from similar programs already in place in neighboring central Texas communities, the Kid ID program features cards that include each child’s name, photo, birth date, height and weight, along with the parents’ names and address, and the date the card was printed. The cards also include the child’s thumbprint and a hologram to prevent duplication, plus information for their parents on what to do should their child go missing. The Ohio Bureau of Motor Vehicles is using the State Fair as a way to stress the importance of State ID cards for children. While the department has offered child ID cards in the past, the push has become stronger thanks to a new “ID R KIDS” initiative. A public safety booth at the Ohio State Fair will help to make more parents aware of the program. From Missouri to Utah, parents are learning that it never hurts to be too cautious. Last year’s infamous Michael Devlin kidnapping and child abuse case has spurred a resurgence of child identification database and ID card creation in Missouri, where Devlin held Shawn Hornbeck and Ben Ownby captive in his Kirkwood, MO apartment. While Hornbeck and Ownby were fortunate enough to escape with their lives, the abuse they suffered has left parents wondering what they can do to protect their children—or, at the very least, help get them home safely and quickly—from the nightmare of child abduction. When someone asks about children, you’re the first to whip out your wallet. The plastic accordion is jammed full of pictures – baby photos, toddlers, mud fights, with Santa Claus, and a variety of toothless elementary school portraits. But do you have a recent photo of your child? The National Center for Missing and Exploited Children thinks you should. A recent portrait (less than six months old) of your child should be right next to all those childhood memories. After all, a recent, high quality photo of your child is your most valuable resource should the unimaginable happen.